My children love water play and there’s no doubt this is the perfect weather for it. Amongst their outdoor toys they have a much-loved water table and the paddling pool has been out for a while too. 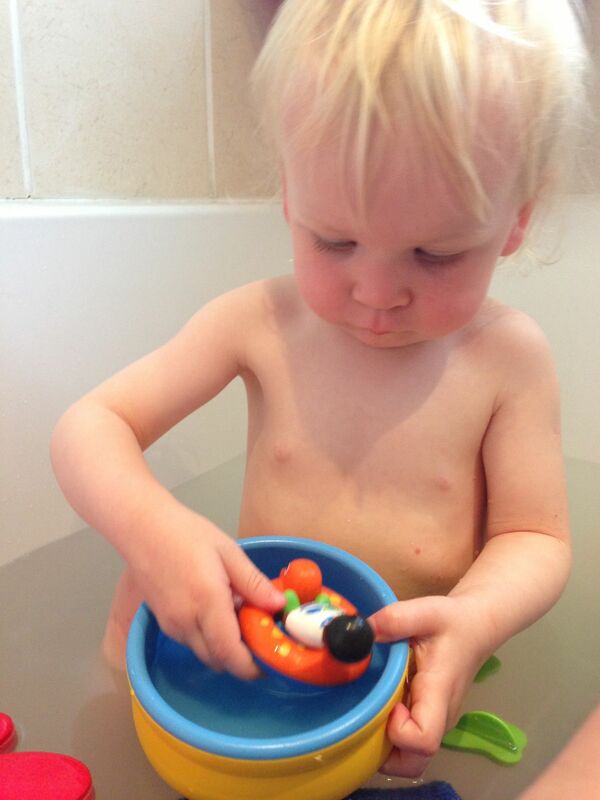 The bath is also full of toys for splashy bath time fun when the weather keeps us indoors. The toddler has a Playmobil speedboat which he particularly loves. A couple of months ago we were chosen to be Playmobil Playologists and we recently received a small toy set (Playmobil 6781) called the 123 Wading set. It is for ages 18 months and up so I gave it to Little Sis (19 months) thinking it would be perfect for her. 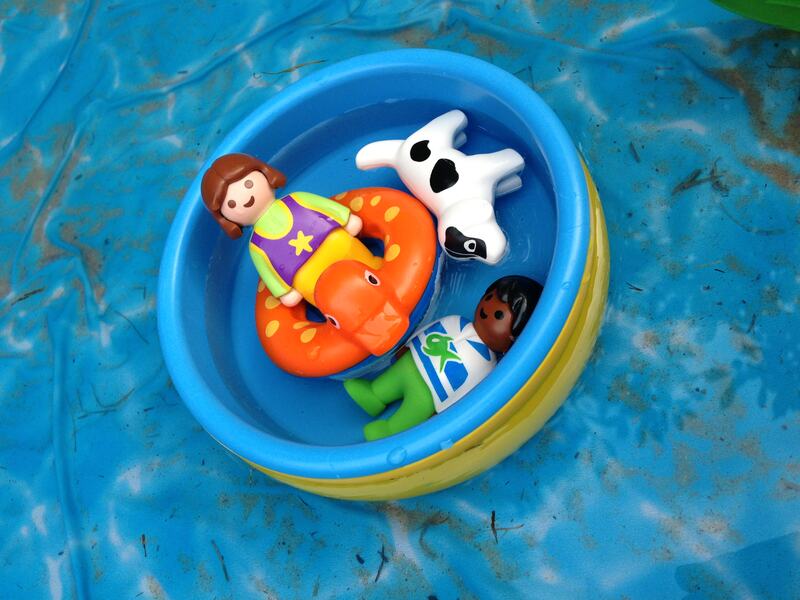 The set consists of a small pool which can be filled with water, two figures a dog, swim ring and flower. She’s been enjoying playing with it but her brother (3 years old) has enjoyed it more! He is really beginning to use his imagination so Playmobil toys are perfect for him. I have to admit that being a Playmobil Playologist has so far been bad for my health. We’d never really played with Playmobil before but over the last few weeks we’ve been bitten by the bug and accumulated a large collection of Playmobil figures. Fortunately they’re pretty tough so have been in and out the paddling pool, watched hours of cars racing around the floor and pretty much infiltrated the rest of our toys.